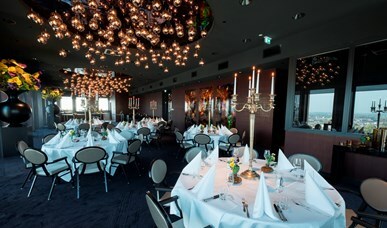 With 22 multifunctional rooms, Van der Valk Hotel Utrecht is the perfect location for any event. Due its central location, the hotel is convenient for guests from all over the country. Are you interested in organizing an event in our hotel? View our brochure for more information and prices. Would you like to receive a quote without obligation? You can indicate your wishes in the application form. The hotel offers 22 multifunctional rooms, including 6 boardrooms which are ideal as a meeting room. These boardrooms with fixed setup offer capacity for 4 to 14 people. We offer you all the luxury and comfort to make your conference a success. From small to large groups, from a one-day to multi-day congress. We make it possible! 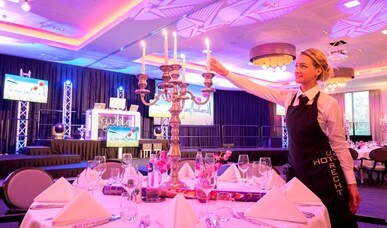 An meeting, master class, reception or shared dinner? 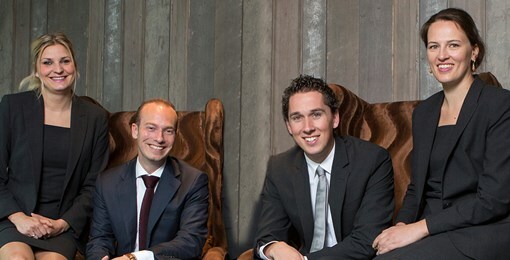 Even a party night is possible at one of the most beautiful places in Utrecht, the Skybar. 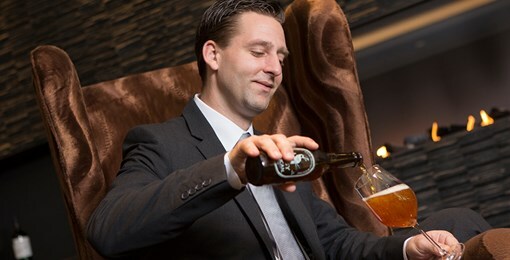 Every party at Van der Valk Hotel Utrecht is unique! Whether it is a wedding, a birthday party, a bussines party or a anniversary, we make it a day to never forget! 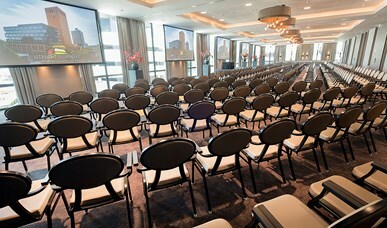 Van der Valk Hotel Utrecht will be happy to assist you in organizing your meeting or giving you the desired information. Here is an overview with the most common setups and capacities.